Ford has been testing the 2018 Aspire for quite some time. The American auto giant has finally decided on the launch date of the car. The updated compact sedan will be unveiled on the 4th of October. Not just this, the upcoming car can now be officially booked as well. Ford dealers will start taking bookings of the car today onwards at an initial deposit of Rs. 11,000/-. Once launched, the car will compete against the segment leader Maruti Suzuki Dzire, Hyundai Xcent, Tata Tigor and VW Ameo. We have been seeing multiple spy pics of the car over past many months and now Ford has officially shared some pictures also. All these have helped us to figure out what to expect from the upcoming car. Ford appears to be taking the Indian market very seriously. After the launch of Ecosport last year, it did some rejig to its variants to make them more attractive. It also launched its Freestyle cross hatch some time back. With 2018 Aspire, it will be its third new offering in quick succession in our market. In addition to this, Ford has also showcased the new 2018 Figo (named Ka+) internationally, earlier this year. We are expecting it to be launched here as well. A lot of the styling cues from this car appears to be relayed to the new Aspire. The car is expected to come powered by the new 1.2L, 3 cylinder Dragon series petrol engine, introduced on the Freestyle. It produces 96PS of power and 120Nm torque. The diesel engine will be carried forward from the old model. It is a 1.5L motor producing 100PS and 215 Nm of torque. It should also get an automatic transmission. This should be the same 6-speed torque converter unit seen on the Ecosport and expected to be offered on the petrol version only. 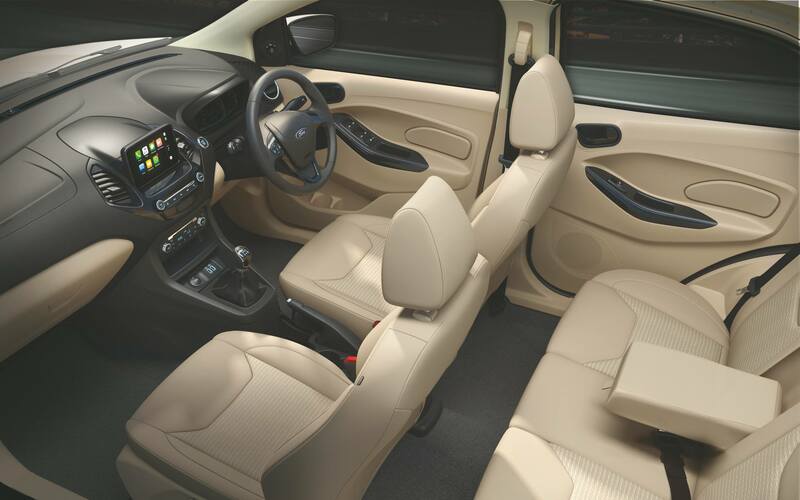 In addition to the above updates, we expect the car to get features like dual airbags and ABS+EBD as standard, an option of side and curtain airbags on higher variants, rear view camera, auto headlamps, rain sensing wipers etc. among others. Ford is known to make cars with exceptional handling and ride quality. With the introduction of the new Dragon series petrol engine in the Aspire, it will get the much-needed performance boost which was somewhat lacking in the older version. Looking at the pricing of Freestyle, we expect Ford will price Aspire aggressively too. 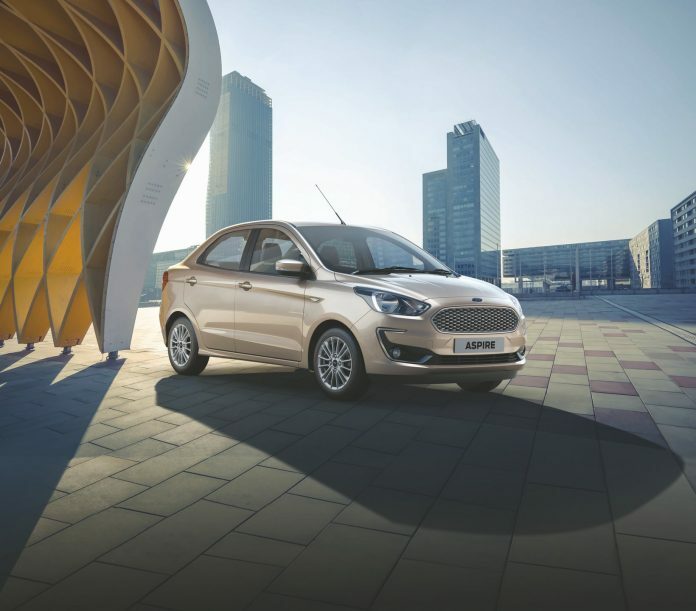 With all modern features, good ride & performance combination and aggressive pricing, Ford will have a very strong competitor on offer in the very hotly contested compact sedan segment.